Napa Valley tours can be found that offer stunning natural beauty you can appreciate in more than just one way because one way won’t satisfy you. Aside from walking around the vineyards and other beautiful sights, there are other interesting and exciting ways to enjoy Napa Valley tours the next time you visit. Biking is one of the most popular modes of pleasure transportation in the Napa Valley. Compared to going around the vineyards by foot, biking is not as tiring although it is also a form of exercise. Biking allows you to slow down and enjoy the fresh air and scenery, as well as the chance to get closer to the vineyards teeming with beautiful grapes. Choose the easy path or the more challenging trails if you want to have some adventure. There are many operators who offer biking services to tourists, and you have the option to go on guided cycling tours or just bike on your own. The Napa Valley Wine Train will be the answer to your fantasies by allowing you to ride an authentically vintage train. It’s a lovingly-restored heritage train which began its operation during the 1860s. The Napa Valley Wine Train will take you on a three-hour round-trip excursion between Napa and St. Helena. While viewing the gorgeous scenery outside, passengers also have the option to enjoy delicious gourmet meals and sample some of the best wines from the region. The train may also make occasional stops at Domaine Chandon winery in Yountville and the Grgich Hills Estate where guest-passengers can also choose to enjoy wine tours. With the train’s beautifully ornate interiors and tastefully presented hors d’oeuvres, entrees, and desserts, everything in the Napa Valley Wine Train is surely Instagrammable! Getting around Napa Valley by car is also a popular transportation option. You can go for sophisticated, comfortable and relaxing wine tours by choosing a chauffeured limo service or rent a car and hit the roads by yourself. Of course, when you do the driving, you will want to wait until you get back to your hotel before enjoying the wine you bought. Discover several established and boutique wineries and go to other points of interest such as cruising along the scenic Silverado Trail. All of the above kinds of transportation have their own unique appeal. But many tourists have sworn that the best way to appreciate the beauty of the Napa Valley is from the sky! How is that possible? It’s by a hot air balloon, of course! 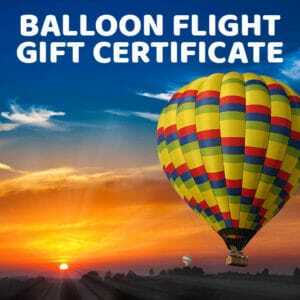 You will fly among the clouds to see the most picturesque views of the Napa Valley like you’ve never seen them before. Balloons Above the Valley (BATV) is the original hot air balloon flight operator to feed our guests’ passion and longing for airborne journeys above the wondrous Napa Valley landscape. Imagine rising majestically above the Napa Valley in a morning mist. Very soon though, the light from the sunrise will gradually reveal the beauty of the countryside. It will let you view, more clearly, the neat and lovely rows of grapevines that seem to stitch together to form a giant quilt. They’re surrounded by the brilliant green rolling hills and dotted by lakes that now seem to look like tiny puddles of water. Aside from enjoying the enchanting views, you will also enjoy the tranquility that surrounds you and revel in the serenity. 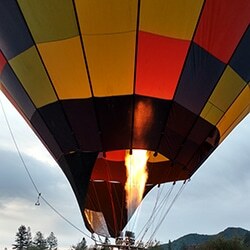 Balloons Above the Valley offers more than just hot air balloon rides. We also serve our guests a well-deserved pre-flight breakfast, post-flight brunch with champagne (or more correctly, a sparkling wine), as well as options for shopping. BATV also offers chauffeured wine tours (plus on-board breakfast) which will take you to several boutique wineries. If you don’t wish to ride the hot air balloon but instead would like to follow your friends from the ground, we also have a package for that! BATV also caters to weddings, proposals, and company and group tours. Give us a call if you have questions, we’re happy to answer whatever questions you have. Whether by car, cycling, taking the train, or by riding a hot air balloon, there are a lot of exciting Napa Valley tours for every discerning tourist.